Bema Incorporated is a leading innovator in the flexible packaging industry, designing and manufacturing of a variety of pouches and packaging solutions. Bema Incorporated is in a competitive, fast moving, highly regulated industry and needed to showcase their efficiency in service and quality in products. Using their branding guidelines, a truly unique website was created to provide visitors with the information that they were seeking. Storyboards and videos were created to enhance the user experience. Once the website was launched we worked with Bema Incorporated to set up pay-per-click advertising and manage social media accounts. 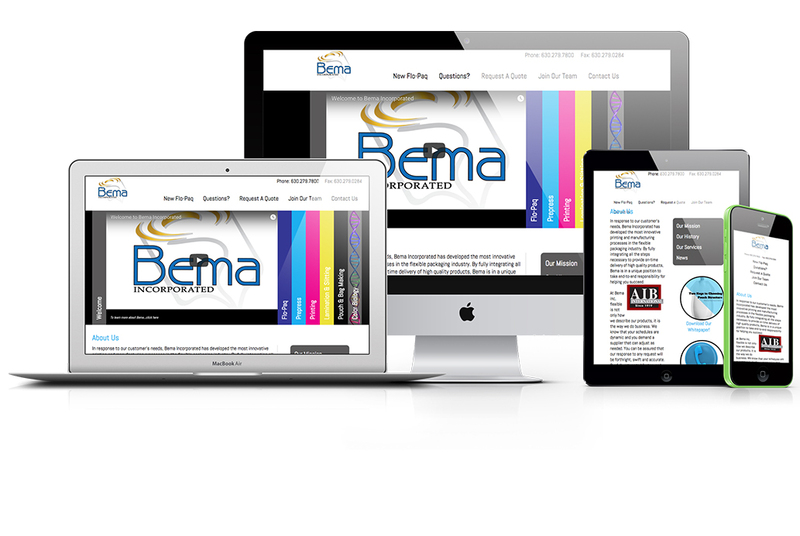 By building a versatile marketing platform that spanned across inbound methods, pay-per-click ads, and social media we were able to easily pivot tactics to meet the needs of Bema Incorporated and help build their digital presence.